Improve your comfort, control and upwind riding technique through better understanding the correct stance, in any conditions you might encounter. Now that your waterstarts are becoming more consistent and you're staying up on the board for your first runs, it's time to better understand the correct way to ride a kiteboard. The ability to ride comfortably, maintain control, stop when necessary and stay upwind is all linked to the rider’s balance, skill at edging the board and control of the kite. The ability to adapt to varying conditions is also essential. The water will not always be mirror flat and the wind smooth. Learning to handle choppy water with gusty winds is all part of becoming a competent kitesurfer. In this video, we’ll start by explaining what we mean by edging and foot pressure. 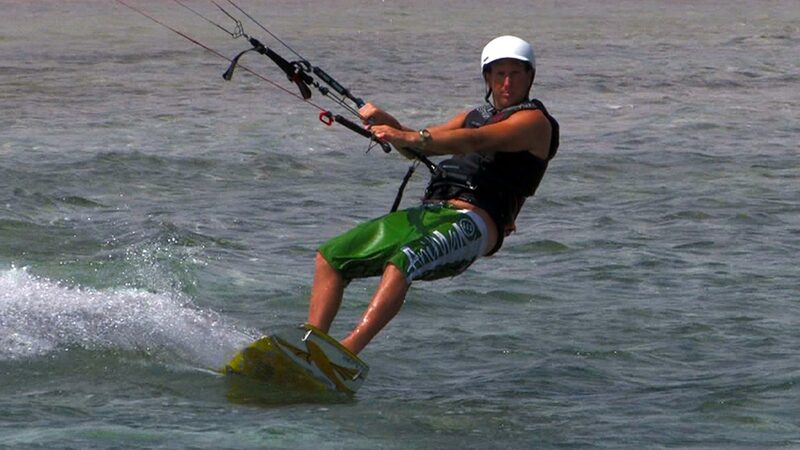 This will then lead on to stance, the way in which your body needs to be positioned to channel the power from the kite down through the board with the least amount of effect and giving you maximum control. Then we’ll look at some basic edging techniques for slowing down, stopping and dealing with gusts and lulls in the wind. 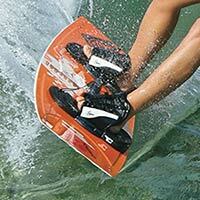 With all this knowledge we can then take you on from your first run technique and apply it all towards riding upwind. Finally, we’ll cover the rights of way rules, so you can ride safely with other kitesurfers. Please confirm that you'd like Progression to email you when the new Riding & Staying Upwind is available to purchase? You currently have an notification setup for the new Riding & Staying Upwind and Progression will send you an email to let you know when it is available to purchase.